The debt settlement is the way of declaring by an individual of his inability of paying his debts to the creditors. In this situation the creditors will get the legal notice but the individual has to be faced many difficult stages to overcome the situation. Sometimes people also take the facility of credit cards to pay various bills and also do a lot of shopping. The bill through the credit card is a good way but when the credit balance increases and becomes more then it will difficult for that person to pay all. Emergency Fund– Every people must have an emergency fund to avoid the situations those may arise in any time. This will help a person to avoid of using credit card in those emergency situations which make them to declare his debt settlement. Charge according to your Afford – anyone should purchase only those things which he can easily pay for but purchasing the expensive things again and again is the main cause of the debt settlements. Avoid Balance Transfer – No one should transfer his balance again and again to other credit card for any reason. The charge of this transfer will increase after every transfer. Avoid Cash advances - Everyone should avoid the use of Cash advances by using credit card. 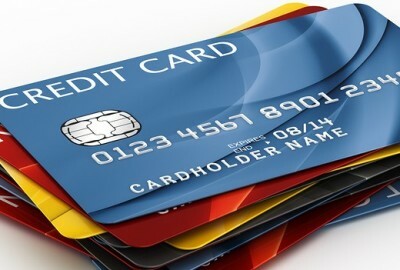 Limitation of the number of credit card - Nobody should use more number of credit cards together. The debt will increase after using each credit card. Understanding the credit card terms – everyone should know the details about the terms and conditions of using a credit card. Don’t provide Credit card to others - People should not allow or provide their own credit card to someone else to use. What will the person do in case of credit card debts? Any one must use his credit card within a limitation but what will he do if he has in the situation of the debt settlement regarding his credit card. In this case, person must contact to the credit card manager where he gets the advice to repay a minimum of 25% of the all expenditure. After that he can pay in the easy process according to the rule of the bank or provided by the credit manager. The way of living and enhancing with the modern world is good but miss use of those technical resources which makes the life of the person more convenience is not the correct way. In case of a credit card if a person expends more than his expectation every time then the returning amount to the bank increases and at last the person will be unable to pay anything. Then the situation comes in such a way that the person declares for the debt settlement of credit card.